Courtesy of Anne Ryan Dr. Adrienne Bailey, a Mundelein College alumna and activist, was the keynote speaker for Loyola's MLK week celebration Jan. 24. As part of Loyola’s annual celebration in honor of Dr. Martin Luther King Jr., Dr. Adrienne Y. Bailey gave a first-hand account of her time marching with Dr. King in Selma, Alabama. Each year, Loyola’s office of Student Diversity and Multicultural Affairs (SDMA) hosts a week of celebration in honor of the civil rights activist. While the events are often well-attended, SDMA drew a crowd of nearly 150 students and faculty with Dr. Adrienne Y. Bailey, a Mundelein College alumna and an education rights activist from the class of 1966. 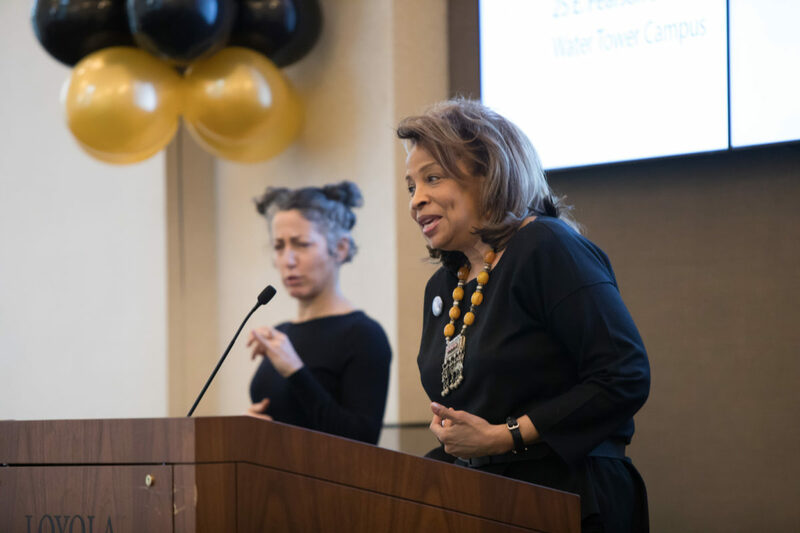 The keynote speech took place on Jan. 24 in Galvin Auditorium, but due to popularity, more speaking times were added for Bailey throughout the rest of this week at Water Tower Campus. 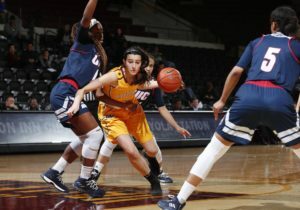 In addition to Bailey’s discussion on race relations in schools and communities, President Jo Ann Rooney spoke on the progress that Loyola and the rest of the world has yet to make. Bailey has served as the first African American vice president of academic affairs for the College Board of New York and is currently a consultant to the U.S Department of Education, where she works to make curricula more inclusive for students of diverse perspectives. It was during her time at Mundelein College, which later merged with Loyola, that Bailey and her peers decided to go to the famous march in Selma, Alabama, to bear witness to the pinnacle of the civil rights movement. Throughout March 1965, nearly 600 people marched from Selma, Alabama to the state capital of Montgomery in an effort to register black voters in the Southern state. At the time, Alabama was known for its racist and discriminatory policies. Protesters were met with violent attacks from local law enforcement as well as white vigilante groups. The march symbolized a turning point in the civil rights movement and the need for a national voting act. Bailey said she remembers her school supporting the trip — even a few nuns dressed in full habits accompanied the students in the Alabama heat. Nevertheless, some students waved Goldwater flags as their bus left for Selma. Barry Goldwater, the 1964 Republican nomination for president, was a symbol for those who opposed the Civil Rights Act. In addition to Bailey’s speech, students participated in the event through performance. Senior Raven Hawkins led the audience in singing, “Lift Every Voice and Sing,” the official song of the National Advancement of Colored People (NAACP). AfroDescent, Loyola’s first African influence dance team, closed out the ceremony. Amidst the celebration and remembrance of King’s life lies a more somber picture, with the Federal Bureau of Investigation reporting a 6,100 rise in hate crimes in 2016 alone, with more than half of all hate crimes motivated by race. In the face of the division and friction that still exists in the United States, Bailey had a simple call to action.